Isaac Okwir was born in 1983 in a small village in Northern Uganda to a family of nine children. 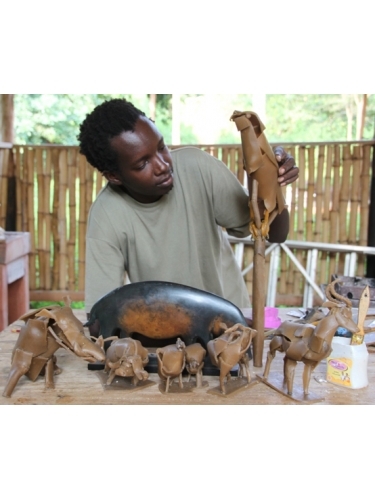 Whilst a Fine Art student at Makerere University, he took part in several workshops sponsored by the Ruwenzori Sculpture Foundation. His distinctive style and beautifully-observed animal sculptures have led to regular invitations to undertake residencies with the Foundation.